Prominent & Leading Manufacturer from New Delhi, we offer tumblast conveyor belt for shot blasting machine only. 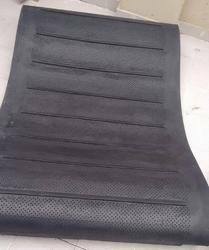 With the help of modern machinery and efficient workforce, we are offering a variety of Rubber Tumblast Conveyor Belt for shot blasting machines only. These are made from good quality rubber. The offered range is durable and long lasting. We have carved a niche for imported shot blasting machines. In order to ensure quality, these are stringently tested on quality parameters.